TUESDAY, May 8, 2018 (HealthDay News) -- Victims of gunshots or stabbings are much more likely to die before arriving at U.S. trauma centers than 10 years ago. This suggests the intensity of violence is increasing, a new study contends. 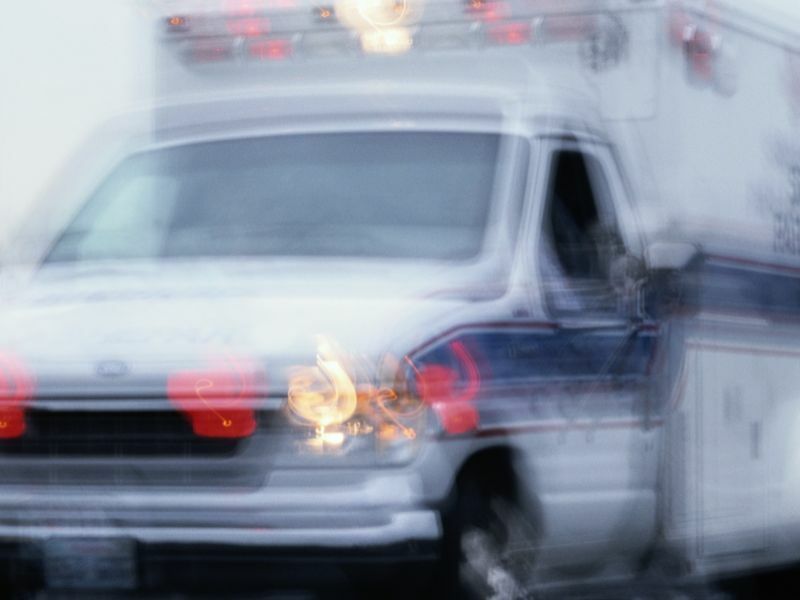 "The data we found suggest that a greater proportion of patients injured by penetrating trauma are dying in the prehospital setting compared to a decade ago," said senior author Dr. Joseph Sakran. Sakran is director of emergency general surgery at the Johns Hopkins Hospital in Baltimore, and an expert in gun violence. He and his team analyzed dead-on-arrival data from more than 750 hospitals nationwide. They found that between 2007 and 2014, the risk of dying before reaching a trauma center rose fourfold among people with gunshot wounds and increased nearly ninefold among those with stab wounds. One must question whether this injury pattern is secondary to an increase in the intensity of violence, said Sakran. "When looking at gun violence, the scientific community must approach this like any other public health crisis and develop a data-driven approach to combat these preventable deaths and injuries," he said in a hospital news release. From 2007 to 2014, there were nearly 437,400 penetrating wound trauma victims. The largest numbers of patients were ages 15 to 24. Of nearly 36,300 patients who died, gunshot wounds accounted for 88 percent of deaths, while stab wounds accounted for 12 percent. Although the overall death rate remained the same, place of death (prehospital versus in-hospital) appears to have changed, the study noted. Two-thirds of the patients had a penetrating wound to only one part of the body, while 20 percent had penetrating wounds in two parts of the body, the researchers said. The most common locations of these injuries were the upper extremities, chest and abdomen. The study was published recently in the Journal of Trauma and Acute Care Surgery.